This side-by-side refrigerator by LG features an InstaView Window and Door-in-Door accessibility to reduce the amount of cold air that escapes the unit. 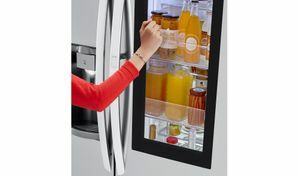 By knocking twice on the glass, you'll be able to illuminate the contents inside, making your selection easier without having to keep the door refrigerator's doors open. Communicating with the appliance is simple by using the Smart ThinQ application on a smartphone, giving you the ability to control the unit remotely. 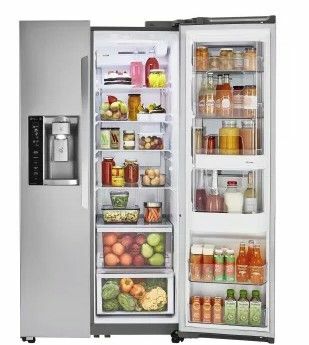 LG Door-in-Door refrigerators give you quick access to snacks, beverages and other go-to items without having to open the main refrigerator compartments. 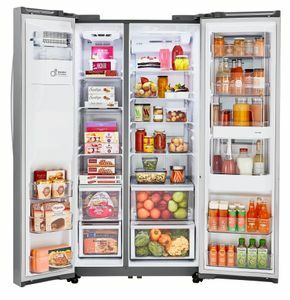 With Door-in-Door you can put your most commonly reached-for food items front-and-center in their own compartment that can be opened independently of the refrigerator. 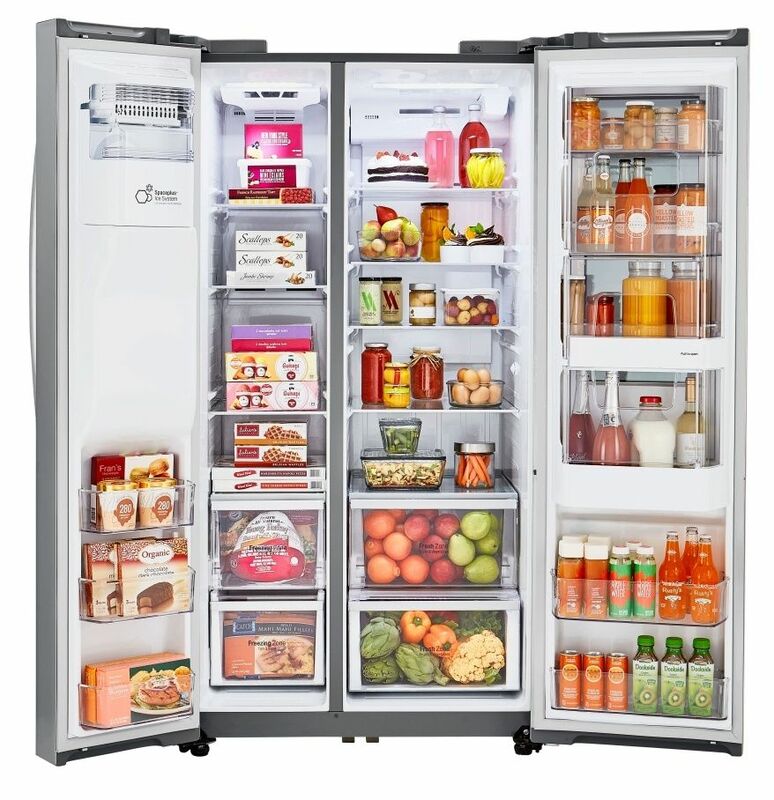 LG's innovative Multi-Air Flow system maintains optimal temperature and humidity conditions inside the refrigerator. 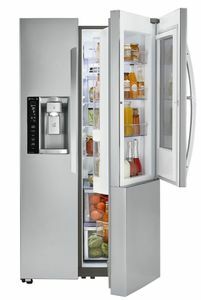 Strategically placed vents surround every item in the refrigerator with cold air, even items tucked away in the corners. The Linear Compressor reacts quickly to temperature fluctuations to keep your food items at maximum freshness. They're also proven to operate more efficiently than most standard compressors on the market. 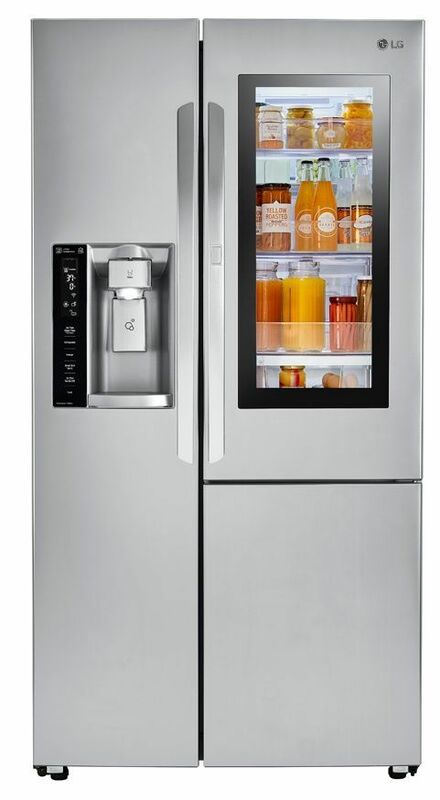 Enjoy clean, odor-free airflow and crisp, great-tasting ice and water with LG's filtration systems. 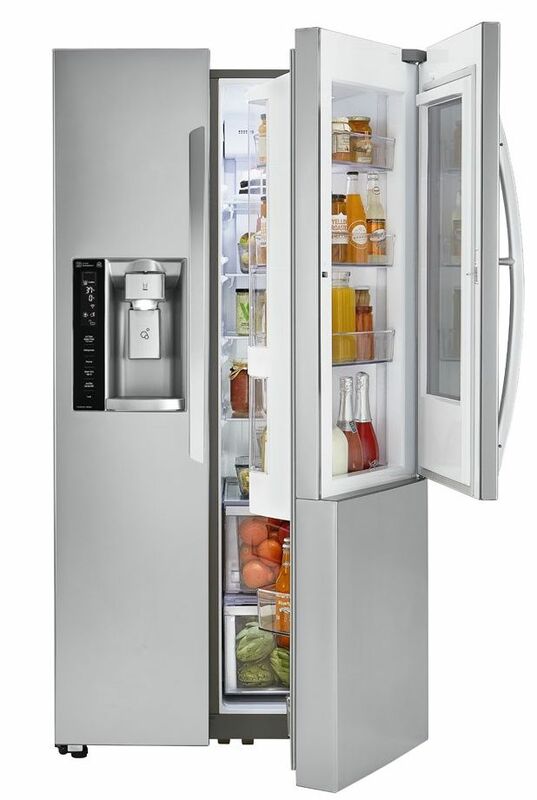 LG SpacePlus ice makers are ultra-slim and are built right into the refrigerator door to take up less space. A more space efficient ice maker means more shelf space and more room for door bins. Tempered Glass Shelving Tempered shelves are durable enough to support a full refrigerator's worth of food and are height adjustable to accommodate items of all shapes and sizes. 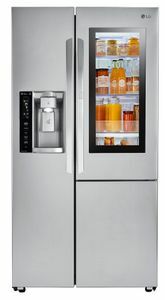 LoDecibel Quiet technology keeps the refrigerator operating quietly for a perfectly peaceful kitchen space.